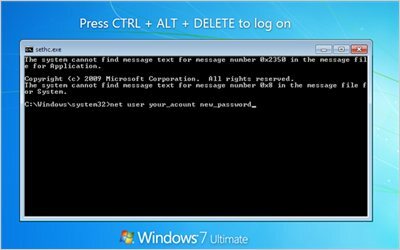 How to reset a windows password without a reset disc. 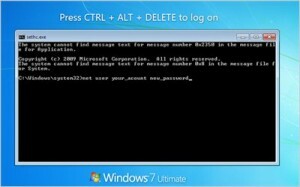 Comments Off on How to reset a windows password without a reset disc. There is a nice article in this month’s PCWorld magazine by Justin Phelps about a trick/hack to reset a windows password. This is sometimes necessary when repairing a windows installation and the original admin password is unknown. It involves replacing the Sticky Keys file (Sethc.exe) with the Windows Command Prompt (Cmd.exe). Then call for the Sticky Key function with shift key (5 times) at the password prompt and use the ‘net user username password’ command. A recent Microsoft Outlook update kb2553248 causes one or both of the following connection errors with Outlook connecting to onsite exchange servers. For now, uninstall the update and block ( or “hide” the update in windows update) to solve the problem. How to install Windows 7 on Sapphire Edge HD3 mini PC.